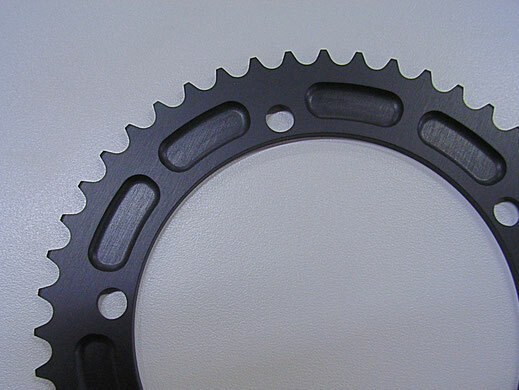 This design has to be the most popular on the planet for Fixed and Track chainrings. I have this available in 144 BCD and 130 BCD in 1/8 thick tooth.....This Production ring is available in anodised black only. This model is designed for mounting on the outside of your crank arms. The tooth profile is flush with the rear of the ring for the best chainline. The chainring has cut outs in the rear to remove any unnecessary weight without compromising strength and stiffness. 130 BCD..... 39T to 60T. 144 BCD.... 42T to 60T. $79.00.....includes freight anywhere in Australia. I do ship chainrings worldwide. To order I simply need the number of teeth, the BCD and the finish you are after and of course your name and an address to send it to. Please contact me to order your ring or for a quote for delivery outside of Australia. The design of this ring is available in other custom sizes. I am able to cut this design in most other bolt patterns that are available, there may be some restrictions because of the amount of detail , but please don't hesitate to contact me for a quote. Simple and Clean on the outside. Machined pockets on the rear to remove excess weight. Go Back to Production Chainrings. 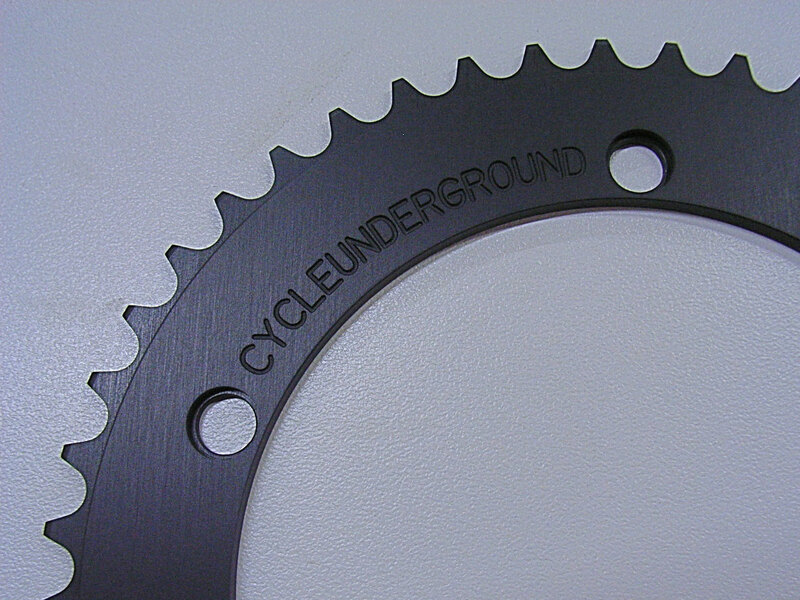 Cycleunderground has been around for over 19 years. A lot of customers are surprised to find out that it is a one man machining and fabrication shop. My name is John Bosevski and I have been servicing, repairing bicycles and building frames, tools and bits for bikes for over 27 years. I now concentrate on my components and tools and slowly develop new product and tooling to increase my offerings. I prefer to concentrate on the bespoke side of bicycles, putting my effort towards products and tools that have been forgotten or overlooked. My workshop can be found in Taren Point, Sydney , Australia.